Spouseup is an Next Generation matchmaking application that uses state of the art matching algorithms to find you the most ideal matches. We believe that you are a sum of your likes and interests and you would have a much greater chance of finding some one similar to you with the help of our smart matching making algorithms that leverages your social media profile. 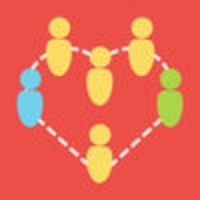 Spouseup is an insanely cool next gen matrimonial and matchmaking app that is one of the first to employ smart matching algorithms based on your social media likes and preferences to help you find the match of your dreams through your friend networks. If you have already found your partner, you can play the role of a matchmaker and help your friends find the ideal match. Check these links to find your download for spouseup for & iOS or for your device iPadiPod TouchiPhone. The app spouseup is compatible with te following devices.